You’ve been captivated with tales from life experiences – Kumar’s caustic wit and biting observations about life. Catching the attention of millions throughout the years by providing perspectives on all things funny under the sun and in the shadows, Kumar is ready with ALL NEW MATERIAL to leave you in awe with more fits of giggles. 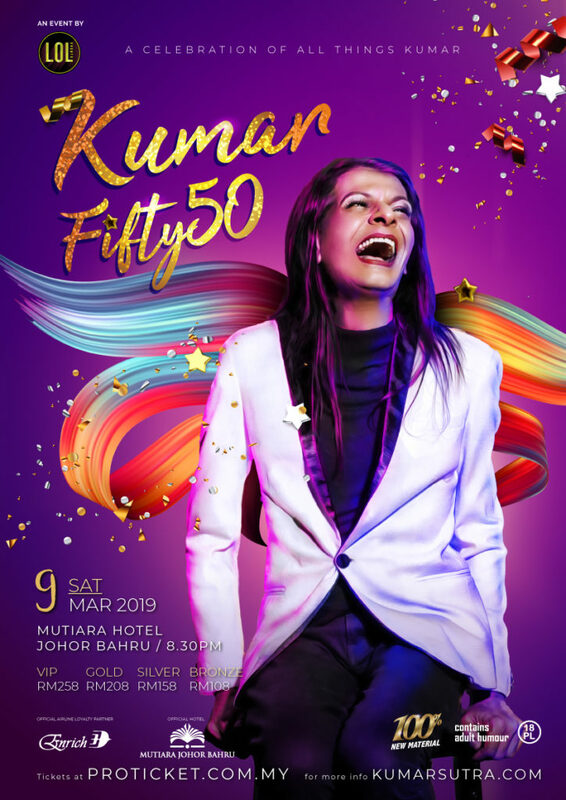 Turning 50 with nearly 30 years of experience in the limelight, Kumar is recognized as a National Icon in Singapore and one of South East Asia’s most respected performing artist. This individual has proven to be a multi-talented performer- entertaining millions as a comedian, TV host, actor, dancer, director and author. Now get up close and personal in Kumar’s greatest adventure yet. Share in the journey to find oneself in the mystery called life. Growing in an environment that was not yet ready to facilitate a loud, flamboyant personality, Kumar is here to celebrate and shout out on all things UNIQUE. Kumar’s experiences and struggles come to life in a light-hearted perspective that can be told by no one else. Jump on the roller coaster of laughter in an invaluable perception of acceptance. Come revel as this wonderful individual takes the next step into accepting life with arms wide open (even if it isn’t quite ready yet). AGE LIMIT: Strictly for 18 years old and above. Miles earning is only applicable to tickets purchased in the VIP & Gold categories. Kindly fill in the Enrich Membership ID. Only ONE (1) ID per transaction. For each whole RM2.00 spent, 1 mile will be awarded. Miles will be awarded until limit per event has been reached. Miles will be credited to Member’s account within six (6) weeks after the event has ended. 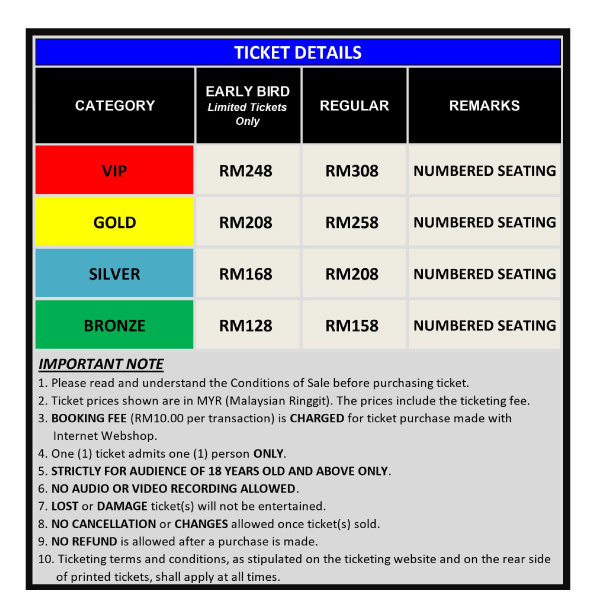 Ticket prices shown are in MYR (Malaysian Ringgit). Prices INCLUDE Ticketing Fee. 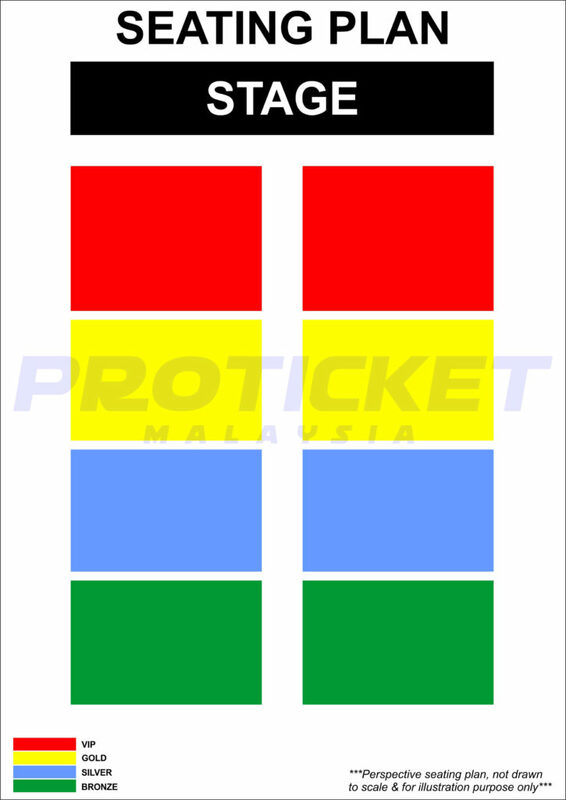 BOOKING FEE (RM10.00) is CHARGED for ticket purchase made with Internet Webshop. No cancellation or changes allowed once ticket(s) sold.